A NIGHT, A COW and A CAR THAT SAVED MY LIFE! As many of you know I do not like to drive at night, but sometimes I drive just locally to dinner or to the petrol station. Last night – when returning from a visit to a petrol station – a black cow appeared out of the dark directly in front of the car. At the time I was driving about 110 km/h (~70 mph/h). The airbags deployed, the windscreen cracked and the car lost all electricity before I was even able to step on the brakes. I kept the car straight and came to a standstill as soon as I could. The miracle was that I was not hurt (not even a scratch). 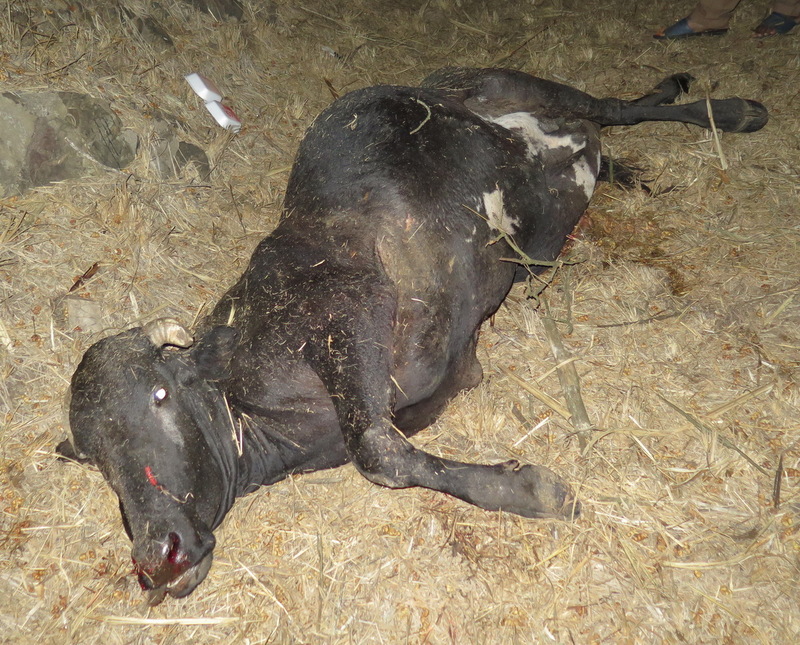 When I got out of my car – admittedly a bit shaky – the dead cow lay on the side of the road. 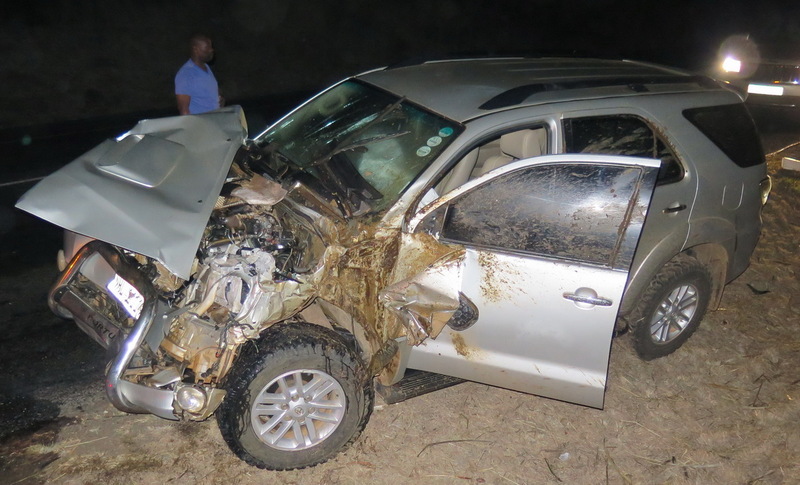 My rugged Toyota Fortuner and the fact that I wore a seat belt saved my life! As this car is probably a write-off, I am certainly planning to buy the same life-saving vehicle again! I called for help and Magdel and Warren from Thanda came to my aid, helped me at the accident site and took me back to Thanda. Thank you very much, I will not forget! 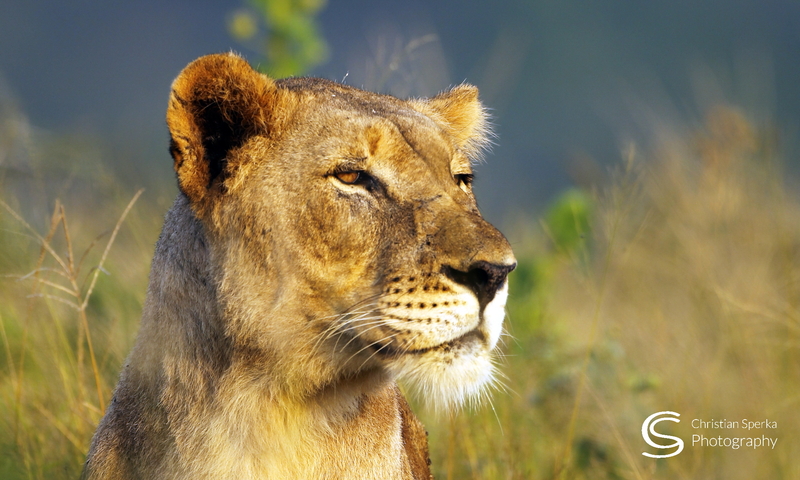 This is a story about a very lucky guy in Africa! I hope you are ok – really.. because photo looks terrible.. Thank God you’re alright! Please be careful and hope you’re not too sore in the days to come! I’m sure glad to here that your ok.. That car looks a mess. Sounds like steak is in order. I like mine med. So go fire up that grill and have a nice drink to go with it and relax for a minute.Dark is very dark there and you never know what you might run into. So Be Safe and Have A Great One. So glad that you are okay Christian…that can be scary especially at night. Up here in Tennessee we have to be on the lookout for deer that run out in front of us…I am a nervous wreck driving at night for this very reason….but where you are I would be terribly afraid that other wild animals would show up before help arrived. Like I said esarlier, glad that you are alright..
… I had never seen a cow along that stretch of the road during the day and I am travelling between Thanda and Mkuze a lot. Further north towards Pongola there are always lots of cows and goats around, so there I usually drive very cautious even during the day!